Anthony is a Partner with PIB Law and focuses his practice on advising companies on the full life cycle of commercial contracts from initial contract drafting and negotiation through maintenance, as well as review and, if necessary, renegotiation of existing commercial contracts. He has the unique ability to foresee issues raised at the outset of a relationship, and to understand how each commercial contract works within the business objectives of an organization, as well as the organization’s existing contracts. He also provides detailed reviews and updates of ongoing commercial relationships for an organization and provides risk level assessments. Anthony is responsible for the ongoing maintenance of some of the largest commercial contracts for a number of companies, including multinational banks. He assists in structuring the myriad commercial relationships and ensures that any contract reflects the business needs of his clients. His experience includes contracts covering outsourcing, sales, services distribution, e-commerce, information technology contracts, licensing, marketing, manufacturing, supply chain, maintenance and support, real estate and equipment leases, customer contracts, employment and consulting agreements, asset or stock purchase agreements, joint venture agreements and online terms and conditions. Anthony also advises entrepreneurs and their companies in business law matters, including formation, operation, intellectual property registration and protection, business expansion strategies, acquisition, and sale. Anthony services franchise systems in all aspects of their businesses, including compliance, franchisor-franchisee negotiations, relationship management and state franchise regulation and renewals. In addition, Anthony represents financial institutions in connection with financial services-related regulatory and transactional matters. Prior to joining PIB Law, Anthony served as Counsel at Friedman, Rosenwasser & Goldbaum, P.A., where he serviced corporate clients in all of the areas described above. Previously, Anthony served as Co-Founder and General Counsel at DLA Industries Inc., as well as General Counsel at Janifast Incorporated, each a contract manufacturing and sourcing company. He was actively involved in the day-to-day operations of the businesses and responsible for drafting and negotiating all related legal documents, including commercial, employment and formation documents. 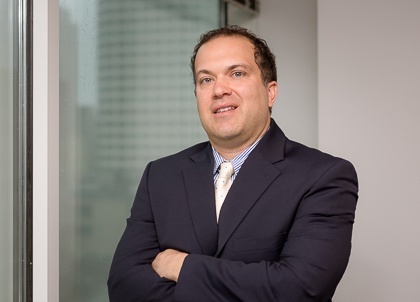 Prior to his in-house positions, Anthony was an Associate at Lowenstein Sandler PC, where his practice focused on mortgage banking/finance, corporate finance, mergers and acquisitions, and advising business clients on day-to-day operations involving general corporate matters. Represented a major financial institution regarding the negotiation of a subservicing agreement for a loan portfolio with an aggregate principal amount of over $20 Billion. Updated and revised master treasury management services agreement and related documentation for a major financial institution. Represented AI-powered technology for the pathology laboratory provider in negotiation of master services and related agreements with some of the largest pharmaceutical companies and hospitals in the world. Represented a major financial institution in the negotiation of its healthcare and benefits agreements. Represented a major financial institution in the negotiation of its worldwide master services agreement for the provision of network and communications services with a global provider. Represented bedding manufacturer in the negotiation of supply and manufacturing agreements for one of the top bedding companies in the world. Represented owner of fast-casual restaurant franchise in sale of franchise system to large restaurant company.